Hiker travel guide a man studies the route on the map and shows the way in the mountain hike, the movement of the camera. 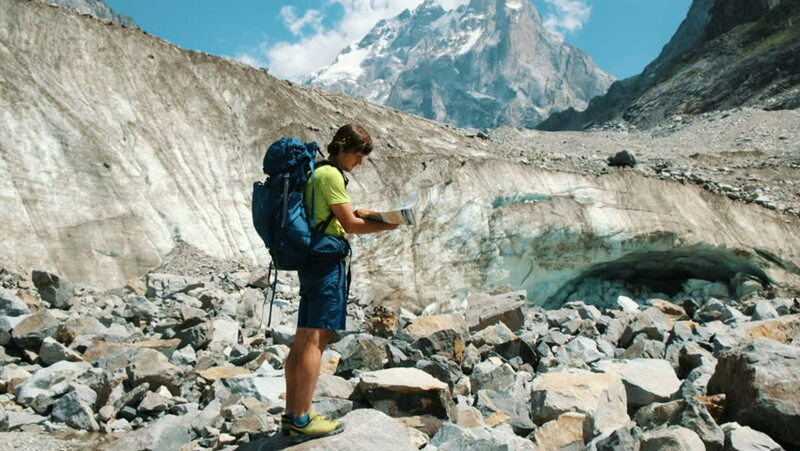 4k00:27Tourist man walks with a backpack, studies a map and shows a route in the mountains against a blue glacier, slow motion. 4k00:09Backpacker Exploring Kjenndal Glacier in Southwestern Norway. Outdoor Recreation Theme. hd00:15EAST JAVA, INDONESIA - June 18 : Worker lifts up the sulfur from the bottom of the crater June 18 2010 in Volcano, Java, Indonesia. 4k00:21Travel in arctic landscape nature with icebergs - Greenland tourist man explorer - tourist person looking at amazing view of Greenland icefjord - aerial video. Man by ice and iceberg in Ilulissat.